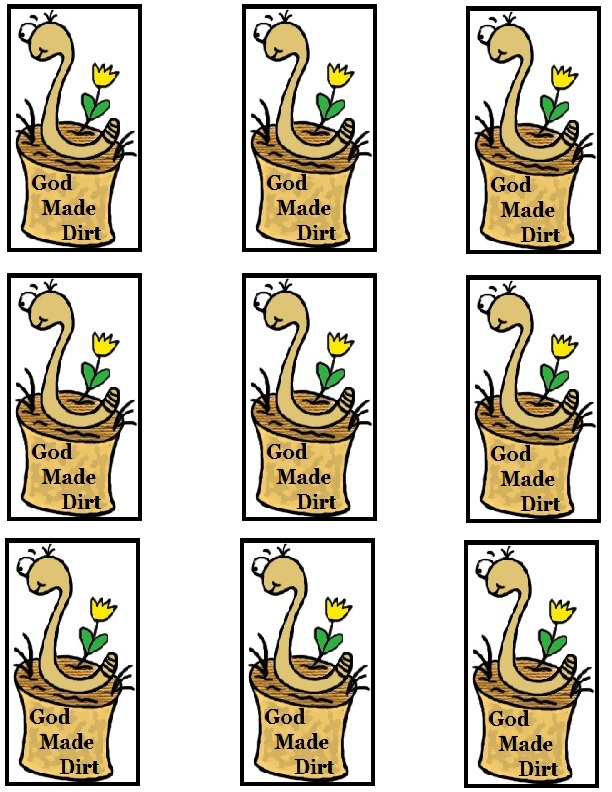 Optional- You could print this dirt worm template out and cut each one out and tape to a white styrofoam cup and then add your drinks and gummy worm ice cubes. Okay just fill your little ice cube tray up and lay one worm in the water in each cube spot. Stick them in the freezer and let them turn to ice. Make a bunch of these up and then take them to church with you in a freezer bag. Put the ice cubes in the freezer at your church as soon as you get there or you can transport them in a small cooler. After you have finished the dirt worm lesson with the kids you can make their drinks up and add a gummy worm ice cube to their drink. I just add one cube with the gummy worm in their cup and then add more plain ice to their cup. I do this so their can be enough gummy ice to go around for everyone. Talk about how God made the worm, the dirt and the water to get that cool looking creation that you are holding in your hand.